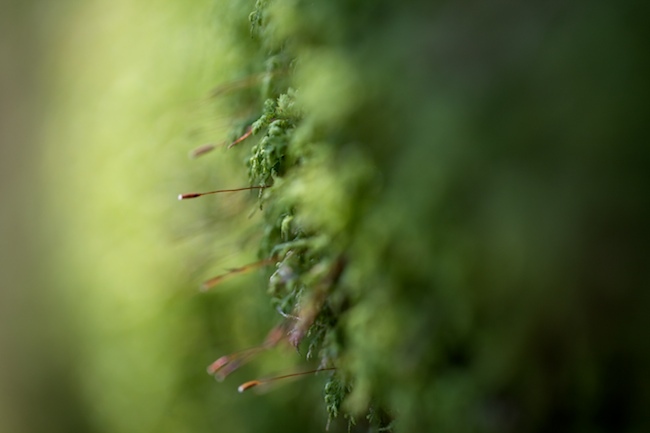 Moss on a tree trunk. Side view. Happy fall.